Welcome to the Ash Class blog! : Your abseiling teacher! Wow you've had a lot of fun already, I hope Bourth (Think I've spelt it right!) is even near this fun! I'm kinda jelous! WOW! Mr K that looks EPIC hope the year 6's had a brilliant time at Manor. 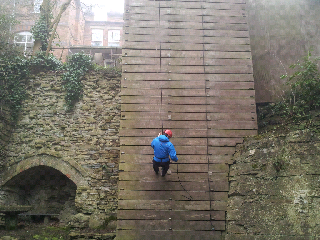 Great abseiling Mr K! You spelt it wrong! Its Borth! How do we know that is actually you......?